Starfish are so cool! 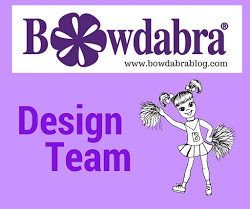 One of my first craft knockoff projects that I did on my blog was done here. I was very proud of how that starfish bowl turned out and it proved very popular! 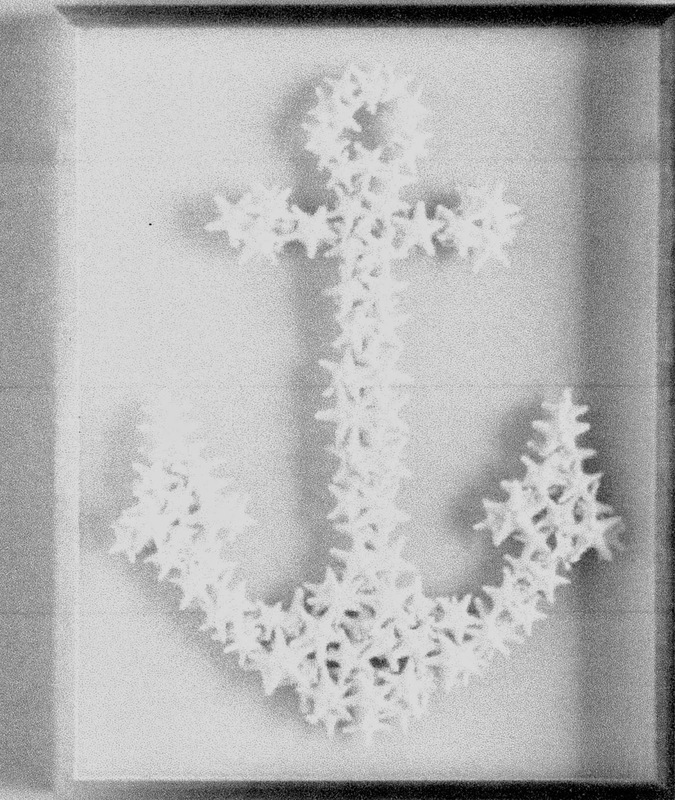 Recently I came across a starfish wall hanging on the Horchow website which is very unique especially at the cost of $3885. Whoa!!!!!! It's part of a collection by a famous designer which I guess would dictate an outrageous price tag. I had collected a few small starfish on some of my jaunts but none like the white ones that are featured in this fabulous wall décor. What the heck. Starfish come in almost any color of the rainbow. They can change color for protection and to help hide from predators. Coastal décor is so popular, especially this time of the year. So leave it to me to make a knockoff of this beauty that's super easy to make. and some teeny tiny ones I found at Oriental Trading (don't recommend this size) I was able to put together a starfish anchor using hot glue and mod podge. I drew a semi circle on the bottom of the canvas and started hot gluing the larger starfish on. 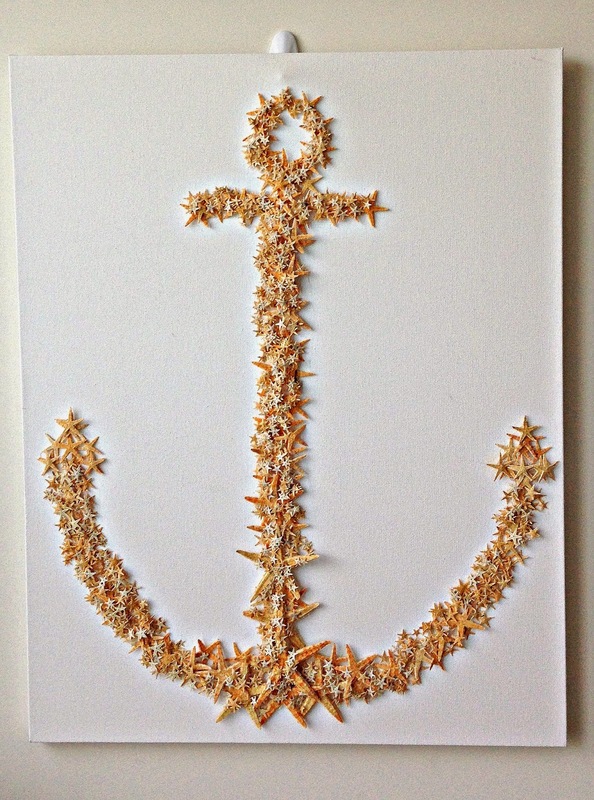 From there, I just added the starfish freehanded to shape the anchor. It wasn't exactly straight, but if there's a lot of starfish clinging onto something, whose to say they would stay straight. That's the beauty of it. Anyway, that's my excuse and I'm sticking to it. I put the tiny starfish in a plastic cup and added mod podge to coat and then laid them on top of the larger starfish and allowed them to dry. This way was so much easier to add and attach them. Maybe I shouldn't have used the tiny starfish. Didn't think they would be that small when I ordered them. Granted this anchor is not as thick as the original one. Maybe I should have bought more. Probably. I just know that they smelled fishy. I can add more later to make the anchor look thicker. That is . . . when I find some in a size that would look better. But right now, I think this is working. For those nautical fans out there, I think this is the perfect accent that brings color and nature's best to a living space. I just need to add a frame. 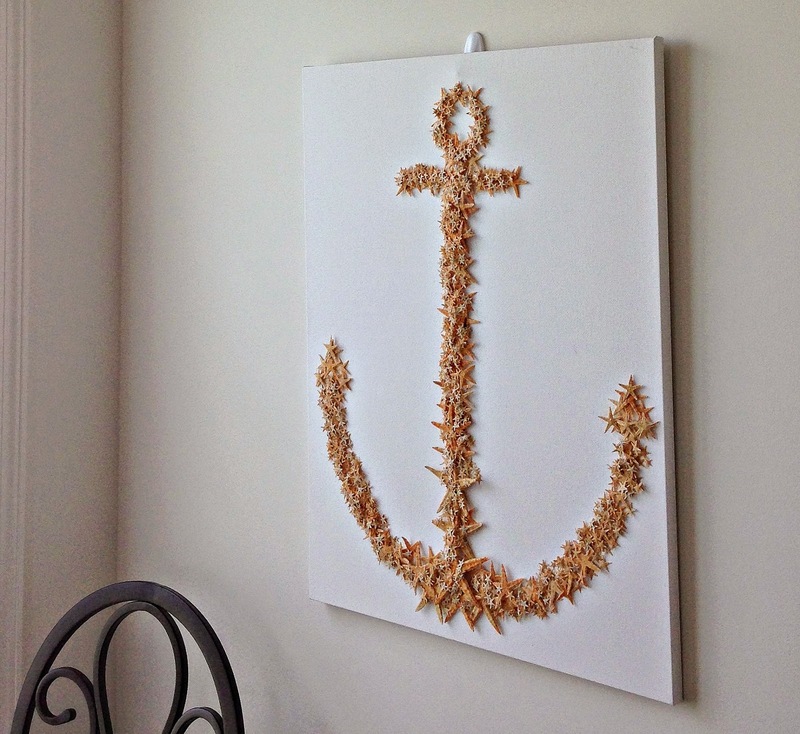 Have you been inspired to add a pleasant coastal element to your living area like this awesome super easy to make wall décor featuring variegated size starfish mounted into an anchor shape? One, that doesn't cost thousands of dollars? I totally love your starfish bowl. I think you can sell your starfish bowl for big bucks!!! I like it much better than the wall decor that costs over $3K. I think your starfish bowl is more unique and creative. THAT IS COOL!!! I like yours with a bit of colour better than the overpriced original! Very lovely! Great idea! Thanks for sharing! I love yours! It's better than the overpriced one. Show us what it looks like framed, ok? I love your starfish anchor! So creative and coastal! I have always been attracted to the shape of starfish. 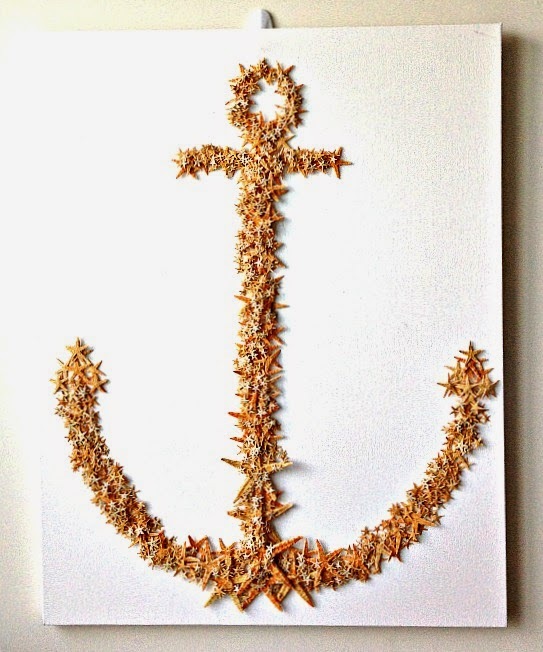 This is a lovely decor element for any nautical theme. How about a nautical rope frame? I know you can create one. 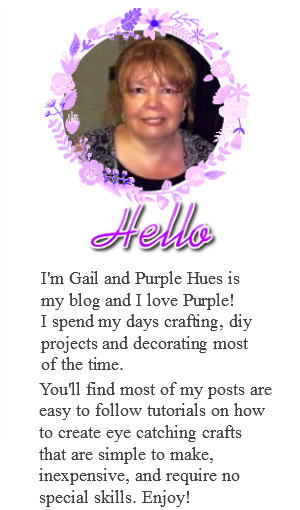 How beautiful, Gail!!! Amazing details! I am truly amazed by this project Gail!! I love it! What a lot of patience you must have and it sure paid off in this piece! I love how this came out. 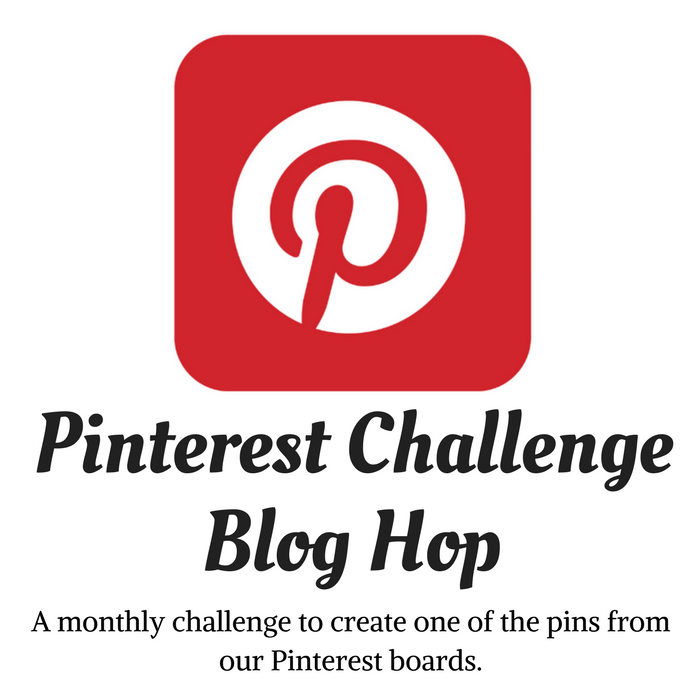 You have inspired me to try and make one for my daughter & SIL (he's in the Navy). How perfect? What size canvas did you use? Thanks, Kristin! I usually reply by email but yours is a no-reply so I'm commenting here. The canvas was 22x28. Have fun putting it together!